I think I was Italian in my past life. I say this for two reasons: I am often caught playing the drama-queen card (or at least I was when I was little) and I love Italian food. Technically I could live off cheese, bread, and salad; but nutrition-wise I can't, so I just have to deal. Anyways, it has been a while since I had pasta. And it has been a very long time since I had homemade pasta. 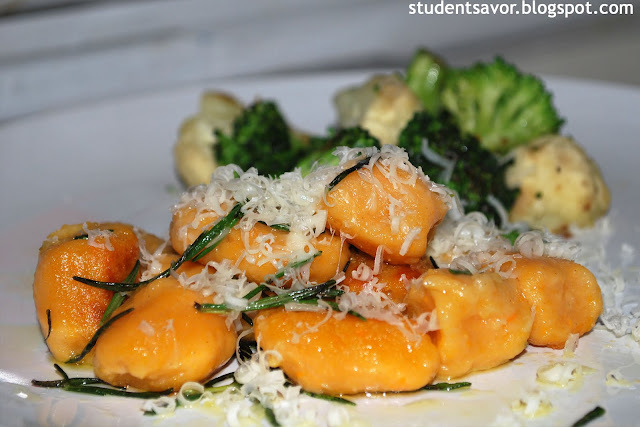 Which is why, when I ran into a gnocchi recipe I bookmarked it quickly. Today I finally got around to the recipe. I had plenty free time on my hands--given all the procrastinating I am allowing myself during the weeks before finals--so I decided to make sweet potato gnocchi. I am not going to lie, it was a long process, but its was definitely worth the work. Plus, I now have enough pasta for a weeks worths of dinners. Line large baking sheet with parchment paper. 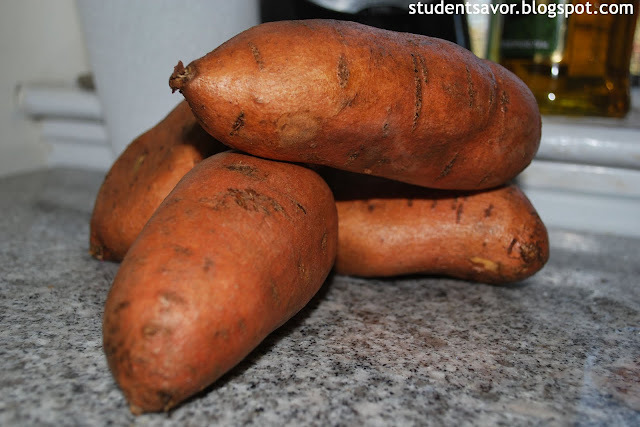 Place sweet potatoes on plate and microwave on high until tender, about 5 minutes per side. Cut in half and cool. 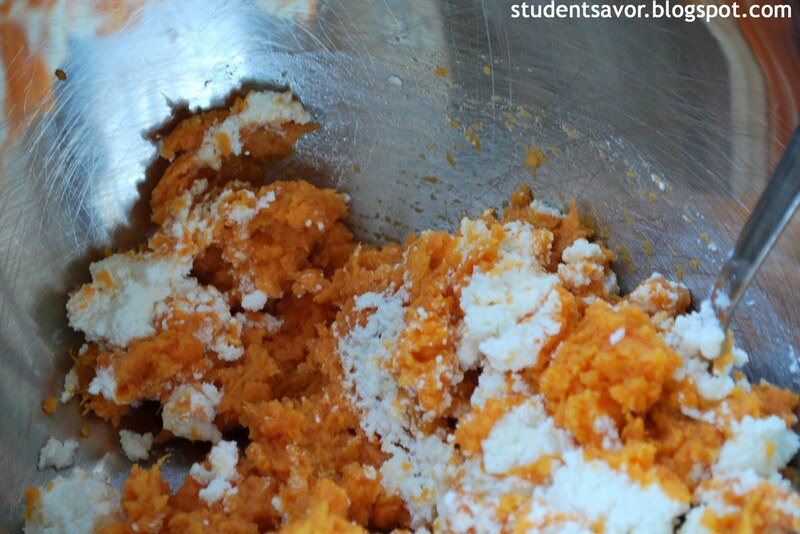 Scrape sweet potato flesh into a large bowl and mash. Add ricotta cheese and blend well. 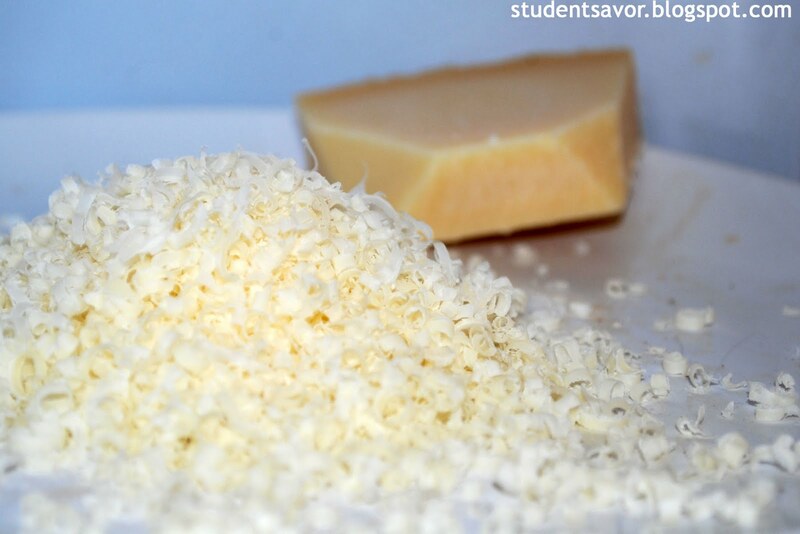 Add Parmesan cheese, brown sugar, 1 1/2 teaspoons salt. Mash to blend. Mix in flour, about 1/2 cup at a time, until soft dough forms. Turn dough out onto floured surface. Divide into 6 equal pieces. Roll dough to form 20-inch-long ropes (about 1 inch in diameter), sprinkling with flour as needed if sticky. Cut each rope into 20 pieces. Transfer gnocchi to baking sheet. Bring large pot of water to a boil. Add 2 tablespoons salt and bring to a boil again. 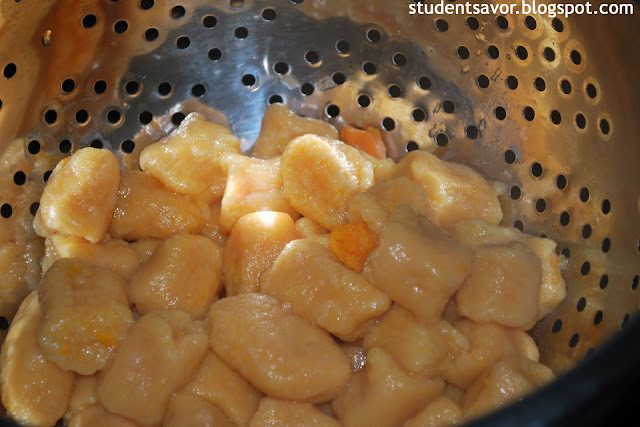 Add gnocchi, working in batches, and boil until tender, about 5 minutes. 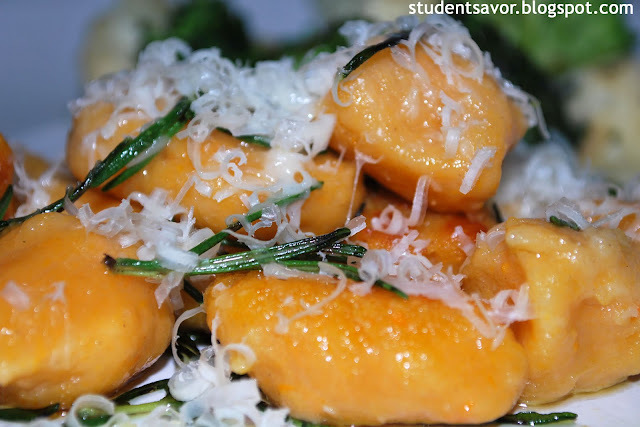 Strain gnocchi and transfer to baking sheet to cool completely. Heat olive oil in saucepan over medium high heat. 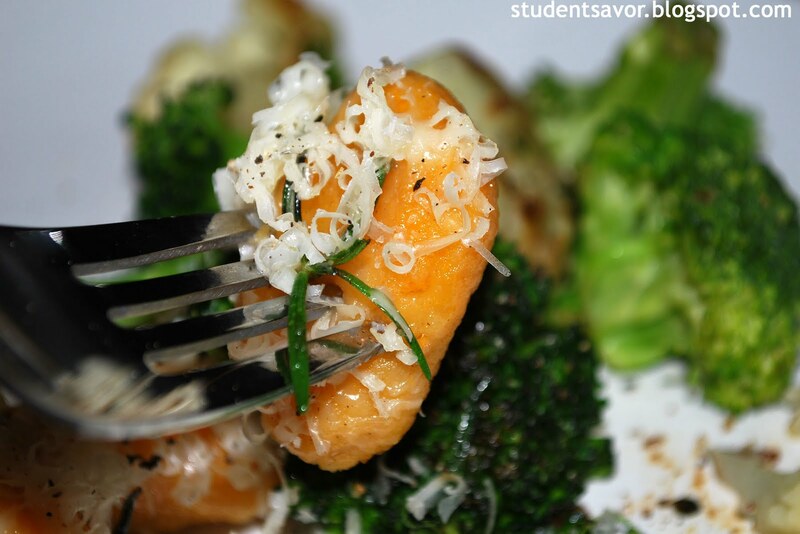 Add gnocchi and cook until golden and almost browned, about 3 minutes. Add rosemary and swirl pan to mix. Cook for about 2 more minutes.